Early detection of eye disease and management of eye disease is critical when assessing treatment for patients. Now, with Diosys, a tool which objectively measures how quickly light travels from the front of the eye to the brain, optometrists can now diagnose, treat and, at times, save patients money as they work to battle the effects of their disease. Before this technology, everything optometrists were able to see was structural change in the nerve or the macula. Optometrists relied on patients to respond to different light tests to assess their vision. While helpful, this test was also subjective, and errors could be made. 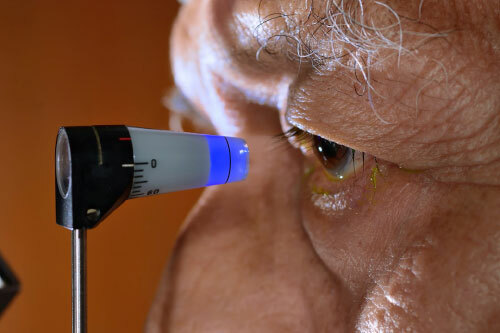 Also, by the time patients noticed a functional change in their sight, nearly 50-percent of nerve damage had already occurred to the patient’s eye. With Diopsys, optometrists are now able to see how quickly light goes from the front of the eye to the brain in about 30 seconds. As the latency period, how the time it takes for the light to travel, is recorded, optometrists can diagnose eye health problems before structural damage occurs. With this, optometrists can diagnose problems such as glaucoma and macular degeneration in older patients and amblyopia in children sooner. Diopsys also helps optometrists watch ocular changes in patients with multiple sclerosis and diabetes or will help explain sudden changes or discrepancies in vision. In certain cases, optometrists have also reported that Diopsys analysis helped some glaucoma patients save money on medications when there was no change in their visual field over time. As only one of two locations in the Champaign/Urbana area who offer Diopsys analysis, Burgwald Eye Center has the tools to not only help people with their ocular needs, but we also have the equipment needed to effectively diagnose and manage any ocular disease early on, giving each patient the best possible vision. 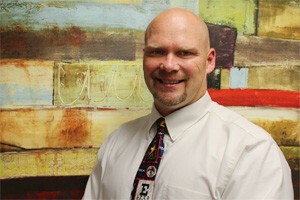 Erik Burgwald greets each patient with a smile, is eager to help and will go the extra mile for his patients. Complete with his state-of-the-art lab equipment he is able to help patients with more than just glasses and contact exams. Dr. Burgwald is a very family friendly doctor who is a volunteer in the Infantsee public health program (this program provides a one time, no cost eye exam to babies ages 6 to 12 months), donates to the local Lions Club, and participates in a variety of fundraisers here in the Champaign-Urbana area.